Established in the fall of 2009 as a student group, Basses Wild Men's A Cappella is the first all-male a cappella group at the University of Minnesota. They perform arrangements and covers of songs from the barber shop genre to classic rock and even today's pop hits at surrounding college campuses and events in the Twin Cities area. They are a self professed "revolving door of ragtag guys who came together to make great friends and sing awesome music." 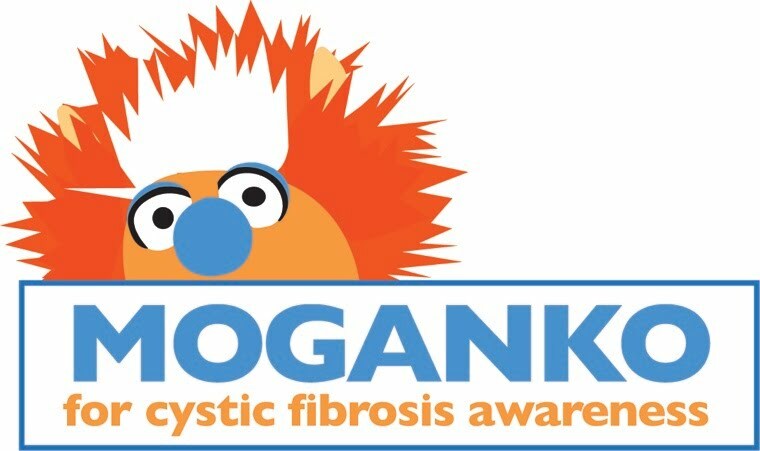 The Moganko CF Project is by far their largest undertaking to date, collaborating with Josh to compose and perform two original songs: "Take Your Pills"—a 50's doo wop style song with a hip hop feel—and "The Respiratory Therapy Song" - a up-tempo traditional doo wop song. Both songs are meant to inspire people of all ages in the CF Community to stay motivated and keep up with their daily healthcare regimen. Josh and Basses Wild are proud to share these songs and hope that you enjoy listening to the them as much as they enjoyed creating them. Here is a mini-documentary on our musical journey! This link will play all three parts, so make sure to watch all three! Being a part of any theatrical production feels like home to Elysia Hansel. Whether it's as an actor, production designer, or puppeteer, she is fully present and involved in every moment. No offense to Moganko's other "assistants", but Moganko's best performances came from her hand...err...arm...whatever. She understands the nuisances of puppeteering and what it takes to give a wonderful performance. Elysia has been a major part of The Moganko CF Project both as a creative mind behind the camera and performing as Moganko's "personal puppeteering assistant" in the music videos for "Take Your Pills" and "The Respiratory Therapy Song" as well as the "Joshland Rap". Thank you, Elysia, for sharing your heart and your amazing talents. My friends, family and members of the CF Community from across the globe have been supporting my mission for Cystic Fibrosis Awareness since the beginning of my blog and YouTube channel in 2009. Every person you see in that intro video either has CF or has a loved one with CF. CF Community - You bring reality to this project. You represent 70,000 people across the world who deal with CF every day and I'm honored you chose to be an integral part of this campaign. Special thanks to Brian Mogren and Rachael Leigh-Furlong Kramlinger for taking lots of the awesome pictures for this project, particularly in both documentaries! LOOK FOR A "THANK YOU" VIDEO COMING SOON!